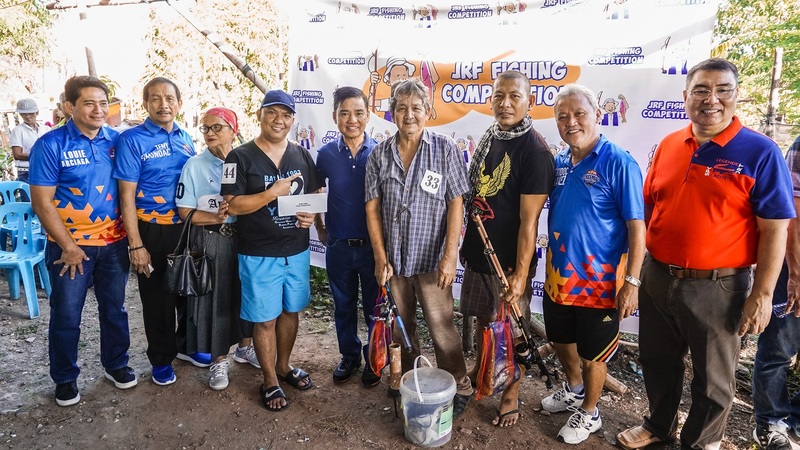 Mayor Jaime Fresnedi congratulates winners of the 7th JRF Fishing Competition at Katarungan Village Urban Center and Lagoon, Brgy. Poblacion on January 19. Over 65 fishermen and fishing enthusiasts joined the annual competition. The local government hopes to revive interest of Muntinlupa residents in fishing and promote protection of the environment. Also shown in the photo are City Administrator Engr. Allan Cachuela, Coun. Louie Arciaga, Dr. Nic Echavez, and former vice mayor Temy Simundac. Run and Drink, A Toast to Palms 10th Anniversary; Register now!